Fall has arrived in New England. It was a perfect weekend for sampling apple cider donuts and visiting the Bennington Museum with my spouse. Once a Catholic Church, the museum has undergone many renovations and expansions overtime. Its origins can be traced back to the 1777 battle of Bennington during the Revolutionary War and a long standing relationship with the Bennington Historical Association beginning in 1852. Paul Feeley who become head of the visual arts program at Bennington College in 1940 was inspired by the work of Milton Avery and was able to attract avant-garde artists such as Helen Frankenthaler, Ken Noland, Jules Olitski, and David Smith to the museum through the 1950’s, 60’s & 70’s. This native stone building is home to the largest public collection of Grandma Moses work and 19th Century Bennington Stoneware. New acquisitions of contemporary self-taught artists, round out the historic collection. 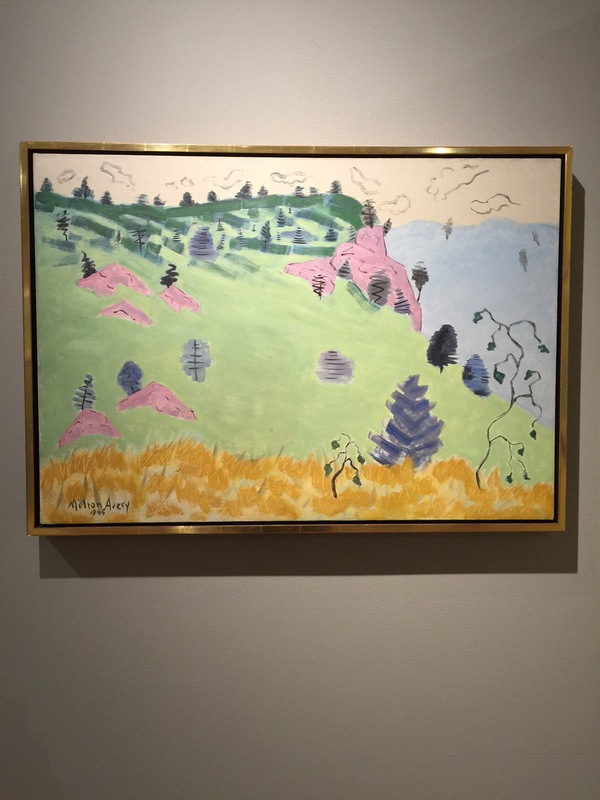 We went to see Milton Avery’s Vermont a show featuring work created by the artist during a visit to Vermont. The show offers us a visually provocative view of rural Vermont that is a welcome change from his familiar New York cityscapes. Avery remained in Vermont into the beginning of fall. 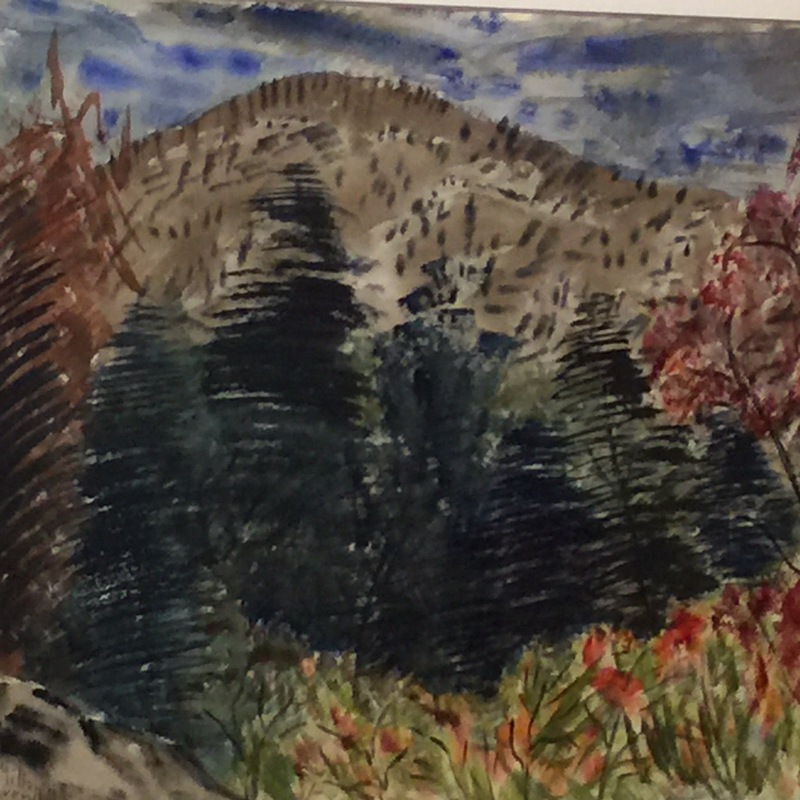 His response to the sensations inspired by the Green Mountains is captured with an extraordinary range of marks and a palette noticeably influenced by New England’s vegetation. Evergreens are conjured with zig-zag dashes. Bold, brushy and calligraphic marks combine with inventive patches of color pointing to the artist’s originality. As Avery continued to paint the New England landscape he became more adventurous with his use of local color. Minimal reference is made to the representational world instead he pays close attention to the subtle demands of each composition. Ignoring evocations of place like weather, non-associative color references define his style while representation, abstraction, and emotion are held in careful balance. Tags: Bennington Museum, David Smith, Helen Frankenthaler, Ilene Spiewak, Jules Olitski, Ken Noland, Milton Avery, Paul Feeley. Bookmark the permalink.